I just finished up a powerful novel. 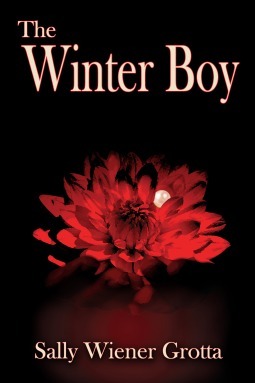 For me, The Winter Boy by Sally Wiener Grotta started off as an interesting study in a different culture and society structure, but it turned into an intriguing exploration of human nature. It was definitely not a fluffy read, but it definitely is a book everyone should read. The Alleshine society is one of Peace. All they do is for Peace. In the Before Times people were prosperous but greed, pride, and violence ushered in the Great Chaos. Much was lost, many lives meaninglessly snuffed out. Generation after generation death and destruction continued until no one knew why they battled except for the sake of the fight. But one woman had a hope that things could be changed. She traveled and met many peoples, planting seeds of this hope until one day she was sought out to by a man to teach him how to succeed in peace. So started the Alleshi, a group of widowed women who chose boys each season to train through intimacy to be Allemen. The Winter Boy focuses on Rishana during her first Season and her First Boy. The training, both for an Allesha and an Alleman, is to find their essential, true, self. But in seeking the truth within her First Boy, Rishana discovers truths about herself and all she thought she knew. There are undercurrents and tensions building that threaten the Peace. And Rishana's Winter Boy may be the key to everything. "A boy to be chiseled is harder work," Rishana continued int he same cool appraising tone. "But the result is a stone-core strength, a man of unusual power." "A man not unlike the woman you are." Rishana was surprised to hear it, but still didn't turn toward Dara. Instead, she allowed her eyes to glaze over, hearing the meaning under the rhythm of their words, finding the truth that had been there all along. Dara leaned back against the tree. "The other kind of boy would shape under my hands with little resistance," Rishana continued, "and with a great deal of joy and pleasure. Yet you have known that I would choose stress and conflict." "No, because you knew the kind of woman you had shaped,"
"The kind of woman you've always been." "And now, I am the same as you." "How will I know that I'm making the right choices for my boys?" "You will know or you will ocme to those of us who know. It is in your blood, as well as in your training." "So I will take this boy who you have chosen,"
"Only if you wish it. Your wil has always been your own to command." "A free will shaped by you." "No, One unearthed by us, Rishana. It is your essential self that will be doing the choosing. We only helped you understand the shape of that self." "Yet, before I make my choice, you already know what it will be." "Because you know me even more intimately than I have known myself." "Because I recognized you as my successor before anyone else. And I had been waiting long for you." "Perhaps too long, Dara. Perhaps you have seen in me what you needed and wanted to see,"
"No. I saw in you what you needed and wanted to be." "I understand, but a part of me is still angry with you,"
"What am I to do with that anger?" "Accept it and use it. Without it, you would not have the free will we cherish and need, It is the inner conflict that will prepare you for the many conflicts ahead." "So it is already decided." There were many conversations covering difficult issues. It was interesting how my questions lined up with Rishana's and was grateful when she voiced the very question I was struggling with. Like what right do we have to interfere with other cultures, to judge them? Part of the job of Allemen was to seek peace negotiations with peoples beyond their borders. To achieve this goal they would, at times, go to extremes, like relocate a people to new land. As I hope you can see there is so much more under the surface of The Winter Boy than just Rishana and Ryl's Season. It is multilayered, with stories within the story to convey lessons and information. To root out doubts and uncertainities. To make one think about their own thoughts and actions. Usually when I read literary fiction I prefer it to be a stand alone novel. 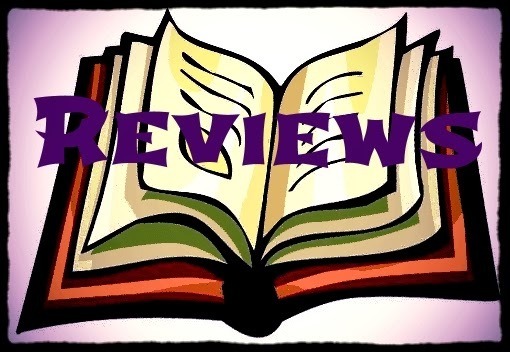 But the truths and answers that Rishana, Ryl, and the Alleshine people seek cannot be answered in one book and I was glad to see at the end that there is mention of a sequel. If you are wanting to sink your teeth into a book, The Winter Boy by Sally Wiener Grotta has enough meat to make a very satisfying read.